When your husband comes home with three trunk loads of pallets, who can help but envision what those pallets could become? Since Andrew’s giant pallet score I’ve been keeping my eye on pallet projects. Let’s call this edition of 4 Pallet Friday my Pallet Honey Do List. It’s no secret that our daughter Charlotte is a huge part of our life. 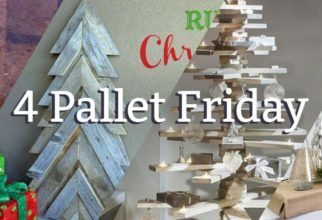 So, it’s only natural that one of the pallet projects that caught my eye keeps her in mind. I love this Market Stand idea. Growing up I always wanted an outdoor playhouse, so I’d love for Charlotte to have one. What better way to get one than to recycle pallet wood! 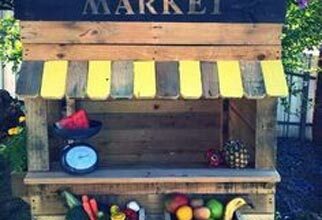 I really like the market stand idea and think any kid would have a blast with it. 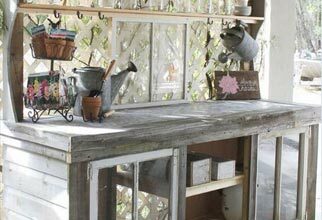 I really love the look of this reclaimed potting bench, but with my lack of a green thumb, I don’t really need one. I’d like to take this idea and tweak it a little. Perhaps into a hutch, or even something smaller like a kitchen command center. I just love how rustic it is and think it would lend a lot of character to a bland space. 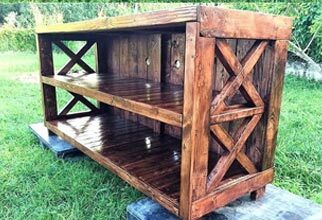 This pallet entertainment center is so cool! The stain is not my taste, but the detail on this piece is awesome! I could see this bringing life to a boring room, and I think it’d be just perfect in our new house, wherever that may be. And finally, a little practicality for my Pallet Honey Do List. 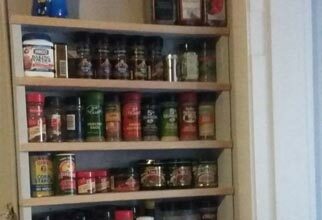 We don’t have space in our current house for something like this, but some day, I’d love to have a spice rack made of pallet wood. Maybe something like this could work to organize the many cans that line our pantry shelves as well. Either way, I like this idea for organizing the little things that you use often. So there it is, my “Pallet Honey Do List.” I know some of my ideas are ambitious and maybe a bit over the top, but my husband is pretty awesome; he can handle it. 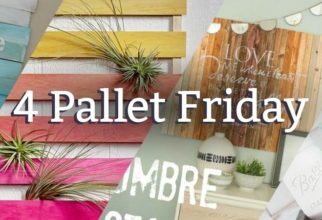 What pallet projects would make it onto your Honey Do List? 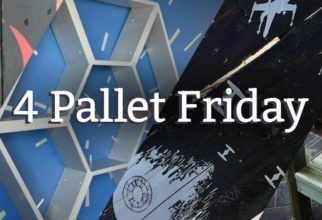 Let us know your ideas and favorite pallet projects in the comments below or on social media with the hashtag: #4PalletFriday. Colleen is a first grade teacher and a mother of one marvelous little girl. She makes and sells teaching resources, like print-outs and activities on Teachers Pay Teachers. She gives final approval to everything Andrew makes (the owner of Recharge Workshop and Colleen's husband).